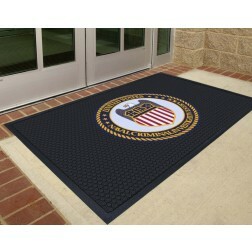 Custom Government Floor Mats - Fire Station Floor Mats | Mats Inc.
Mats, Inc. provides a large array of mats & matting products used in government facilities such as fire stations, county & state hospitals, libraries, DPS offices, courthouses, military offices and any other municipal buildings. 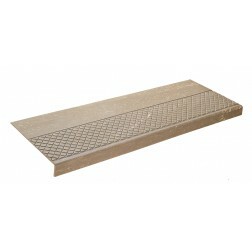 Our mat selection includes exterior & interior floor mats as well as stair treads & risers. Please review the list below for commercial mats used most often. These lobby mats are created with your city, state or county’s one-of-a-kind logo, address, symbol and/or name imprinted on mat. 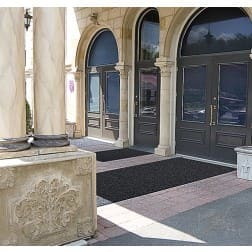 Mats, Inc. offers custom-sized floor mats & grates to fit specifically into existing recessed areas usually located in the foyer of municipal buildings. 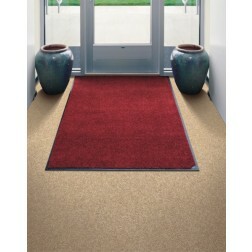 On occasion, recessed mats are installed at exterior entrances. 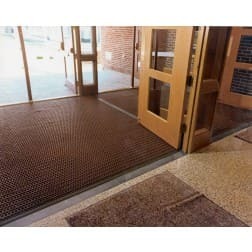 These mats are plain mats (no logos), typically used inside the main entrance of city, county & state government buildings to keep tracked in dirt & moisture to a minimum. 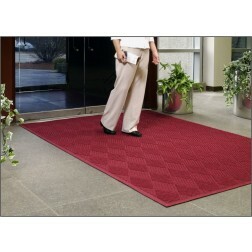 These mats are also used in covered parking garages & in front of elevators.They come in many sizes, colors & designs. 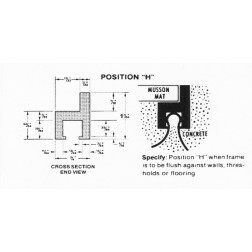 Some are specifically designed to stay in place on top of carpet. 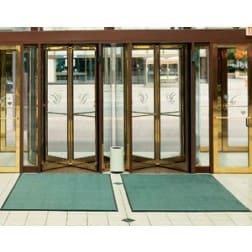 Often, the lobbies or foyers of municipal buildings require large, oversized floor mats. 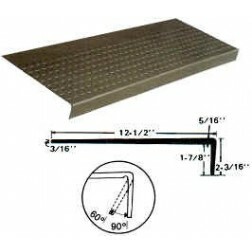 Mats, Inc. can provide maximum sizes up to 12’ wide & 60’ in length. 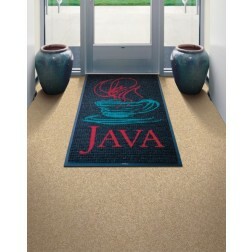 If desired, these foyer mats can be personalized with the company’s logo or address. Please call us for more information on these mats. 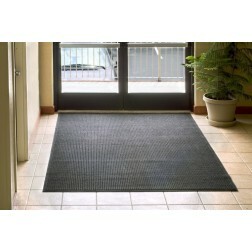 These mats are typically located in the exterior areas of your property. 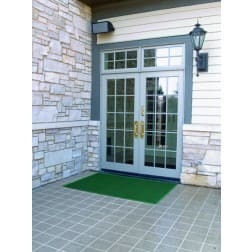 Exterior mats are usually made of rubber or some type of plastic scraper material, designed to drain and dry quickly. 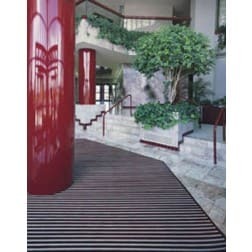 Mats, Inc. sells heavy-duty exterior mats that can withstand the high traffic flow seen in public buildings. In addition, we can supply a non-slip / non-skid coating (WP70) to paint on slippery concrete areas & in parking garages. 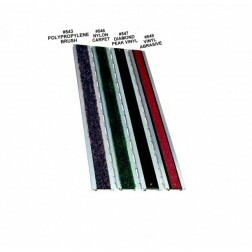 Mats, Inc. also stocks self-adhesive anti-slip tapes. 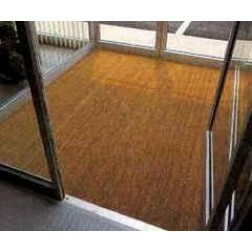 Carpet Tiles are often used in the foyers of public, government facilities. 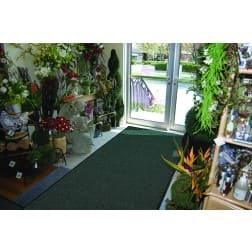 Mats, Inc. has carpet tiles in a variety of designs & colors. 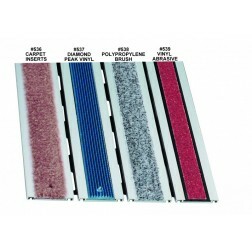 An advantage to using carpet tiles is the ability to replace the ones that become soiled or damaged. 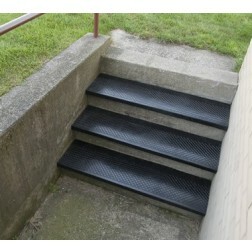 Mats, Inc. offers rubber, vinyl & metal step coverings for municipal office building stairways & stairwells. 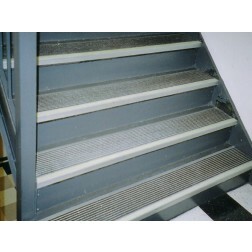 We have an extensive line of commercial stair treads / stair covers designed for light, medium & heavy traffic in an array of colors & patterns. 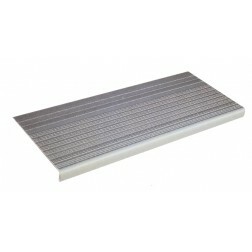 Stair Treads with Grit Strips for the visually impaired can also be provided. 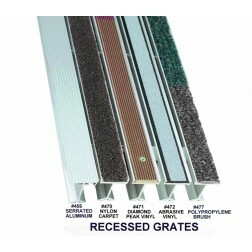 Many of our treads have matching stair risers & landing materials. Some government facilities may require environmentally friendly mats. 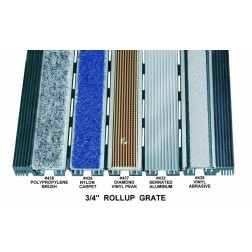 Mats, Inc. has a large variety of mats manufactured using percentages of post-consumer recycled materials. 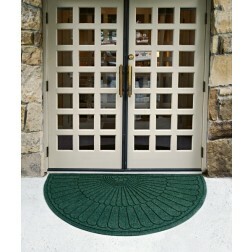 These earth-friendly door mats use recycled rubber & plastic products as ingredients to produce mat fabrics and backings. 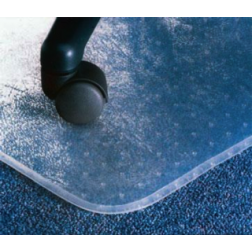 City, county & state offices may choose to purchase custom-sized desk chair mats to protect floors and carpet from scratches & damage due to the caster wheels on desk chairs. 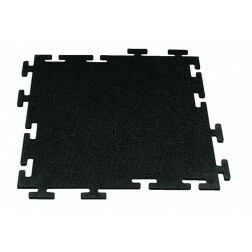 Our desk chair mats are heavier duty than those typically found at local office supply stores. Many government facilities now offer gyms or fitness centers for their workers. 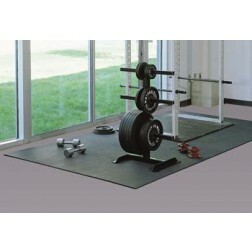 Municipal facilities can find workout & gym floor matting at Mats, Inc. to satisfy their health conscience employees. #0900 Punishment pads are often purchased by Fire departments for use in their workout areas, due to their sturdy structure and economical price. Lastly, Mats, Inc. can provide Roof Mats / Pads & Roof Walkway Matting used on government building roofs to protect roofs & facilitate repairs.